Congratulations to Noah Jamison who has become the Southern Area Schools Under 10 Table Tennis Champion. Noah played 7 matches in all and didn't drop a set. 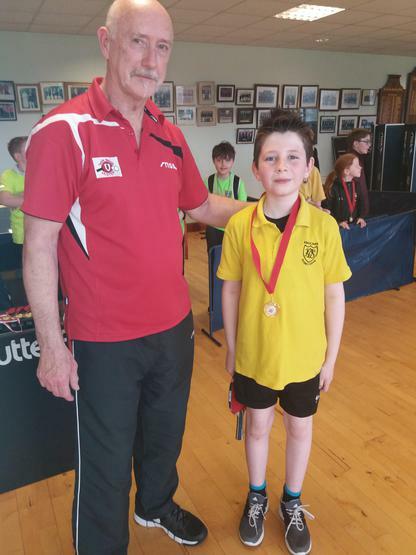 Noah is pictured here with Arnold Morgan of Table Tennis Ulster. Keep up the training Noah!